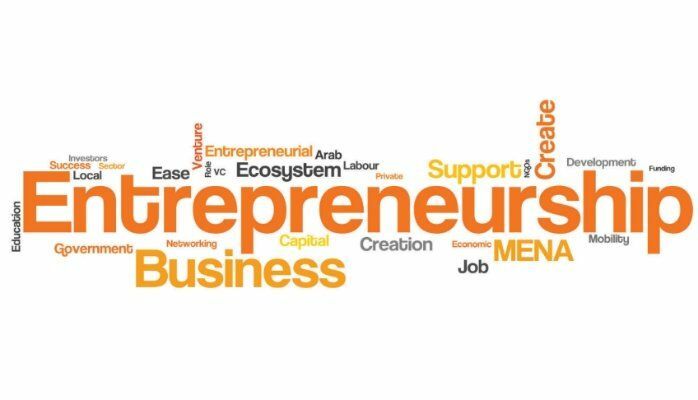 In this blog post, continued from the previous post, we will examine the other metrics in the study to see where canada stands in terms of what is considered as Entrepreneurial. The second metric we analyzed was the rate of new business ownership. New Business Ownership rate measured the percentage of 18-64 population who are currently a owner-manager of a new business, i.e., owning and managing a running business that has paid salaries, wages, or any other payments to the owners for more than three months, but not more than 42 months. Canada once again has the highest rate of new business ownership. It has been a steady trend since 2005/2006. A recent spike occurred in 2012/2013. This is excellent news for Canada though, as it illustrative of faith in the economy. The continued struggles and uncertainty in the Eurozone has had a negatives effects on the rate of new business ownership. The rates of new business ownership are generally lower now for the Eurozone countries than 10 years ago. The third metric analyzed was that of the percentage of 18-64 population who are currently a nascent entrepreneur, i.e., actively involved in setting up a business they will own or co-own; this business has not paid salaries, wages, or any other payments to the owners for more than three months. This is the rate of brand new business development within a country. Similar to the above statistics, Canada, has experience uniform growth in the last few years. This is once again reflective of the faith in the economy and the perceived ability to succeed within Canada. The United States and the United Kingdom are also in the top three of the nascent entrepreneurship rate. The US has experienced increased growth since the recession, with a lot of people turning to entrepreneurship after a period of unemployment. The UK only recently experienced a spike in their growth rate. The other Eurozone countries, and Japan all place within a similar range of rate, and have all recently experience further turmoil in their economies. This turmoil could deter people from attempting to start their own business venture, as the uncertainty may result in further financial loss. Engaging females in business, and in more powerful roles has been a focus of the G7 in recent months. Every country has experienced the female population reviving the term feminism, and many systematic areas of discrimination have been highlighted. This is also highlighted in the total early-stage entrepreneurship activity for each gender. In every G7 country, there is a higher proportion of males participating in early stage entrepreneurship than females. Canada’s percentage difference between female and male entrepreneurs is among the worst. the best are countries such as Germany, and France, who have a 1-2% difference in activity level. This of course, could be symptomatic of the lesser overall participating in early stage entrepreneurship. This gender disparity is important, as employing and educating women has a huge effect on society and their ability to move forward. As the G7 countries continue careering towards a more tertiary-dominated activity economy, they have to increase the number of women also engaging in early stage entrepreneurial activity. This will not only help the gender disparity, but also engaged another section of society towards the change. So what does this all mean? Why does it matter that Canada tends to be in the top for measured entrepreneurial activity? It matters as it is a way of securing a future for Canada. Canada’s economy was once reliant on primary industries, the mining and collection of our natural resources. Now that we fully comprehend the environmental impact and the resource restraints of those activities, it is important to continue diversifying our economy as to ensure future success. One of the way Canada has done this is by opening the accessibility of post-secondary education. As more and more Canadians are able to attend a university program there is a need for an increased number of skilled positions. This supports the switch to a tertiary economy. A tertiary economy is based on services. These services tend to be skilled positions, and as the economy continues to grow and evolve, further positions will be created. Entrepreneurial activity shows this creation of skilled positions, and signals big opportunity for the economy itself. A strong economy develops a positive feedback loop, whereby more entrepreneurs are willing to take the chance to develop their business idea as the economy is strong. The creation of more jobs, and positions within small businesses then in turn helps the economy stay strong and succeed. This is opportunity led growth versus necessity lead growth (no job opportunities, so you have to make your own). Canada’s strong economy gives opportunity to so many people, causing the rate of entrepreneurship to be 7:1 for opportunity led growth. Necessity led growth is not inherently a bad thing, however as it is born out of reduced employment opportunities, entrepreneurs are risking a lot when starting their own businesses, and thus their failure impacts the economy further. So how does this data fit into anything? Recently in Canada, there was a massive change in leadership, and thus a new economic plan is being developed and enacted in line with the ideals and promises of the new party. However, before any decisions are made, leveraging big data on entrepreneurship can aid the continued strength of the entrepreneurship sector in Canada. By leveraging big data to analyze a decision, you are reducing risk, invoking a transparent process, ensuring the measuring of relevant statistics, and overall improving the speed and accuracy of decision making. Risk is reduced as the full extent of the impact of ideas and changes can be measured accurately. Instead of guessing at the impact based upon a group of selected metrics, the digitization of record collecting allows for an increased number of metrics to be analyzed, compared and correlated. This helps reduce the risk, as any impacts can now be exactly measured and forecasted with increased accuracy, versus a vague piecemealing of data to understand a possible outcome. This increased data collection and analysis ability allows increases the transparency of projects. As there is no longer a limited set of data to be analyzed, any negative effects or impacts cannot be hidden. This allows for greater transparency and trust. Along the same line, big data allows for the correct metrics to be analyzed. It has been an issue plaguing business since data was first used to measure success. It is very easy to obscure an issue by not being perceptive to the correct metrics. With big data, as there is an increased amount of metrics to analyze, issues are more likely to be caught and corrected before they cause huge impacts down the line. Finally, big data not only increases the accuracy of big decisions, but also increases the speed that decisions are made. The time spent for decisions to be finalized has a monetary cost attached, especially if the decision is an attempt to formulate a plan. With big data, decision makers feel more informed, and thus are able to make the necessary decisions faster, and with a greater understanding of the impacts of the outcomes. All these positives of utilizing big data also apply at a macro-level. The new government of Canada is facing a demand for change and continued stability within the economy as the threat of another recession looms. At this point in time, the economy is opportunity driven in regards to entrepreneurship. This metric means that many of the previous plans and actions have helped create the chances and possibilities for many people to create and own their business. By taking advantage of the data on hand, a new plan can be formed to help continue entrepreneurship strive in Canada, and help make decisions at a fast pace.